Kinzler Construction Services believes in giving back to the communities where we live, work and play. A big part of that is our annual United Way Employee Campaign. 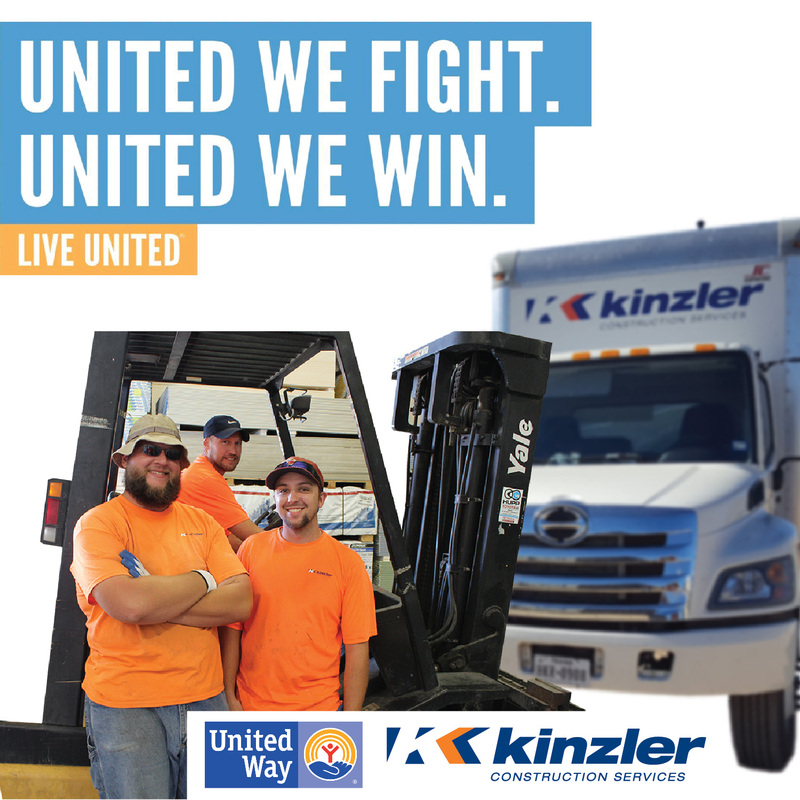 Together, with the company match, our employees donated $60,000 to be distributed between United Way chapters across Iowa, Minnesota, Texas & Colorado — in communities where Kinzler Construction Services operates branches! More than 126 Kinzler team members participated in the 2018 United Way campaign, raising $20,000. That was a record number of employee donations for Kinzler’s annual United Way fundraiser. The company matched those donations dollar-for-dollar, bringing the total to $40,000. Kinzler Construction Services is an employee-owned construction subcontractor with a proven process for hassle-free installation and delivery of building materials. Our purpose is to serve others, build relationships, and enrich the lives of our employees and those we partner with. The company is rapidly growing and invites you to search job openings and apply to join the Kinzler team. 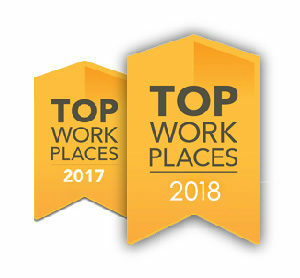 Kinzler Named a Top Workplace AGAIN! 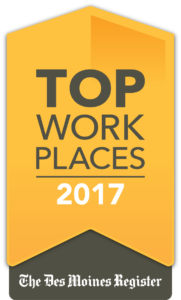 Kinzler Construction Services, a family and employee-owned construction subcontractor, was again named one of the Top Workplaces in Iowa. This is the second year in a row Kinzler’s employees have recognized the company’s dynamic workplace culture. The Top Workplaces lists are based solely on responses to a survey of Kinzler Construction Services employees administered by Energage, LLC, a leading research firm that specializes in organizational health and workplace improvement. Several aspects of workplace culture were measured, including alignment, execution, and connection, just to name a few. 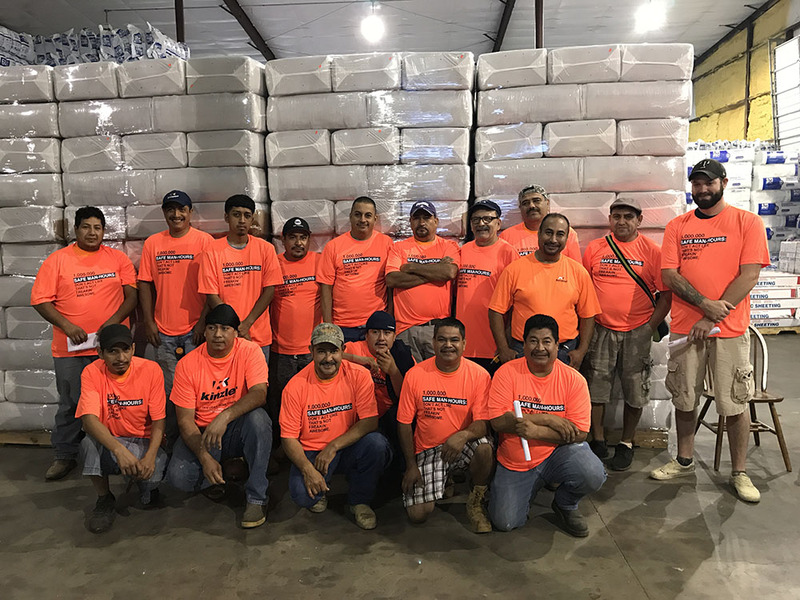 Kinzler Construction Services recently launched their company ESOP (Employee Stock Ownership Plan), which means team members actually have ownership in the business. Kinzler is currently hiring team members. For a complete list of job openings, visit our careers page. Kinzler Construction Services is a family and employee-owned construction subcontractor with a proven process for hassle-free installation and delivery of building materials. To search job openings and apply to join the Kinzler team, visit www.KinzlerCareers.com. EntreLeadership 1-Day Live Stream is a one-day event for leaders and their teams. During the day, you’ll get equipped to master the art of influence, delegation, conflict resolution, team unification and other common issues all leaders face. Join us April 27 at Kinzler Construction Services! Kevin and his wife Yvonne founded Kinzler Construction Services in 1984 operating out of their garage. 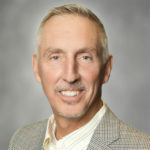 He will speak on the thrills and challenges of growing from an in-home business to a multi-state operation with hundreds of employees. With a background in coaching football and experience leading teams to success, Brian has a passion for leadership, teaching and helping others grow their skills. You will walk away from his presentation with tips on having crucial conversations and tools for talking when stakes are high. Kinzler Construction Services is hosting this free event because we practice a “Team Member-Focused Approach” with our employees. That means we’re a workplace where all people, programs, processes and systems are focused on helping employees grow and advance their careers. In turn, our team members provide industry-leading service to our customers. We’re extending this invitation to our friends and customers as well because we also wish for you to grow, advance and be successful too! The event runs from 8 am – 4 pm, however if you can’t commit to the entire day – we get it! Just drop in whenever you are available to take in this incredible learning opportunity with others in the construction industry! Kinzler Construction Services will provide free lunch – so we do need to know if you plan to join us. Please RSVP to help us plan! 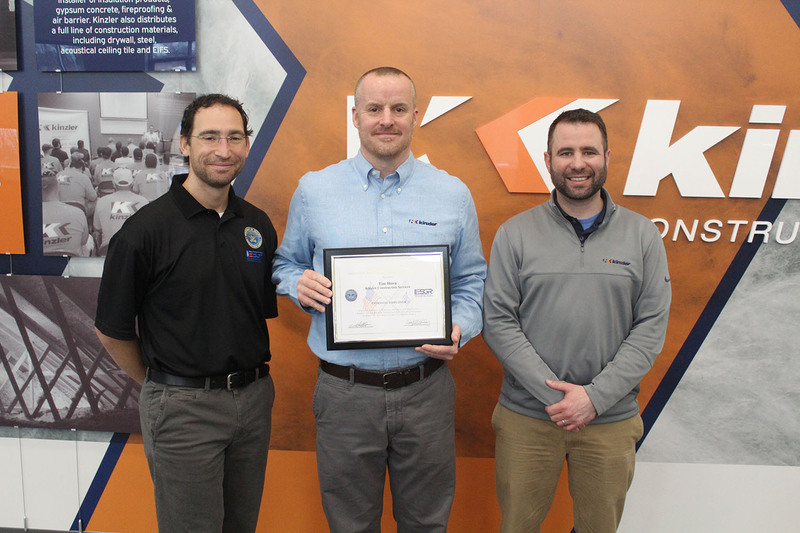 Kinzler Construction Services recently received a significant recognition, being named one of the Top Workplaces in Iowa by The Des Moines Register. 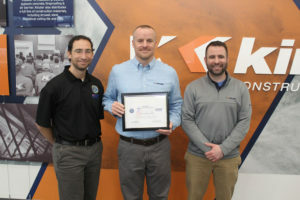 This recognition follows the announcement that Kinzler employees have worked one million safe man-hours and have gone more than two years without a loss time injury at any of Kinzler’s six branch locations. 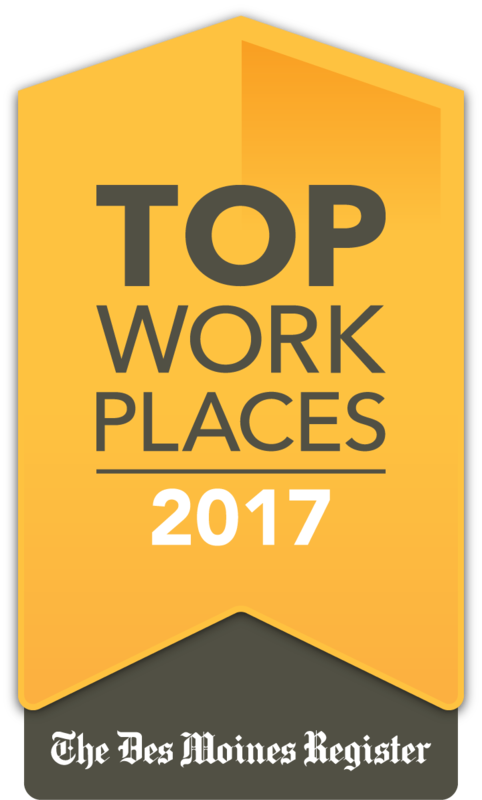 The Top Workplaces lists are based solely on responses to a survey of Kinzler Construction Services employees administered by WorkplaceDynamics, LLC, a leading research firm that specializes in organizational health and workplace improvement. Several aspects of workplace culture were measured, including Alignment, Execution, and Connection, just to name a few. VIEW KINZLER JOB OPENINGS & APPLY ONLINE. Kinzler Construction Services is a leading installer of insulation products, gypsum concrete, fireproofing & air barrier. Kinzler also distributes a full line of construction materials, including drywall, steel framing, acoustical ceiling tile & EIFS. Kinzler is a rapidly-growing, family-owned company offering industry-leading service to the best customers with locations across America’s heartland, including a new branch in Denver, CO set to open in early 2018. 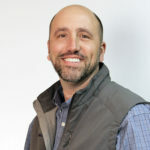 To search job openings and apply to join the Kinzler team, visit www.KinzlerCareers.com. 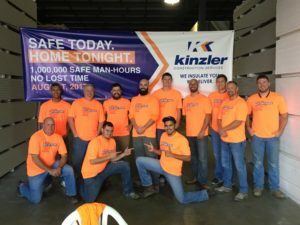 Kinzler Construction Services is proud to announce that their employees have worked one million safe man-hours and have gone more than two years without a loss time injury at any of Kinzler’s six branch locations. 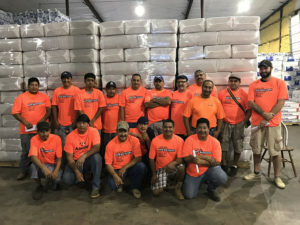 Located in Ames, Ankeny, Cedar Rapids and Waterloo, IA as well as Fridley, MN and Tyler, TX, Kinzler Construction Services is a leading installer of insulation products and also distributes construction materials. Kinzler’s central Iowa team celebrates one-million safe man hours. 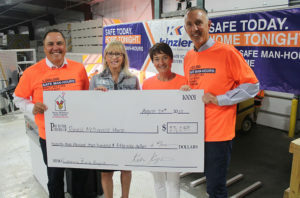 Kinzler Construction Services President & CEO Tanner Kinzler (left) and Founders Kevin & Yvonne Kinzler (right) present a check to Ronald McDonald House of Central Iowa Executive Director Brenda Miller. 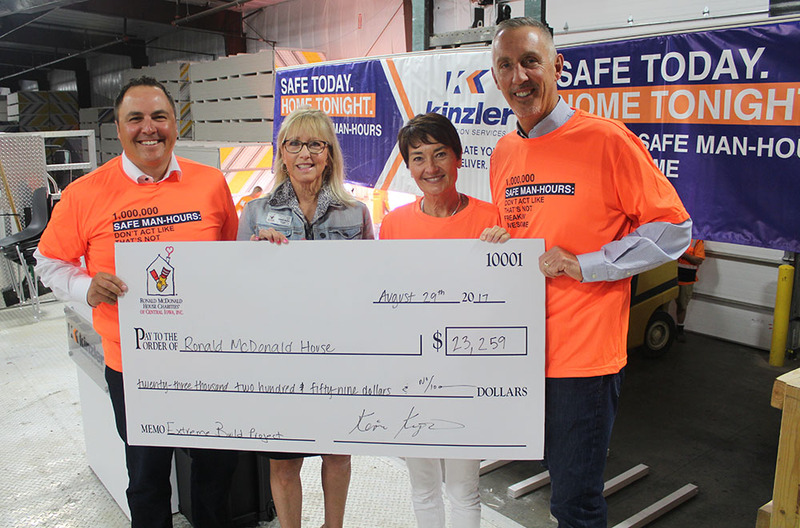 To commemorate the milestone, Kinzler Construction Services will donate more than $23,000 to the Ronald McDonald House Charities. Kinzler is partnering with Hubbell Realty Company and other trade partners and volunteers to work around the clock over the course of two weeks to build a brand new two-story house with 18 state-of-the-art rooms to provide a “home away from home” for families of seriously ill children receiving treatment in central Iowa hospitals. Families can stay at little or no cost for as long as their need exists. 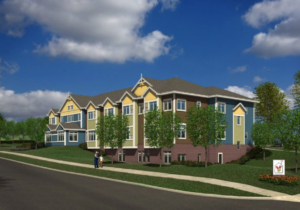 Kinzler will install gypsum concrete underlayment and sound mat, as well as provide drywall and other construction supplies for the project. An illustration of what the new Ronald McDonald House will look like, located on the corner of 15th and Pleasant Street in Des Moines’ historic Sherman Hill Neighborhood. Kinzler’s Cedar Rapids, IA crew celebrates. Team members at the Tyler, TX Kinzler location celebrate the safety milestone. Staff from the Waterloo, IA Kinzler location celebrate one million safe man-hours. Kinzler Minneapolis, MN employees celebrating.